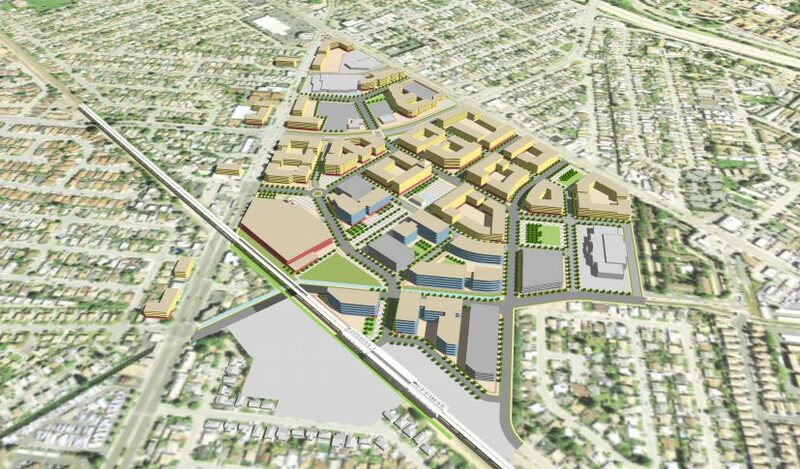 The City of San Leandro is embarking on the creation of a Bay Fair TOD Specific Plan to create a vision, policies, standards, and implementation strategies for the future of the Bay Fair area. 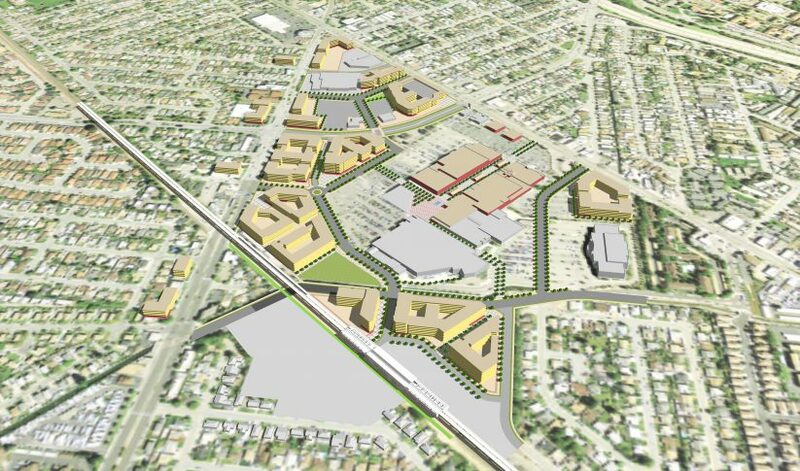 The project area spans both the City of San Leandro and Alameda County jurisdictions and includes the Bay Fair BART station area, Bayfair Mall, shopping centers, and key arterial streets. 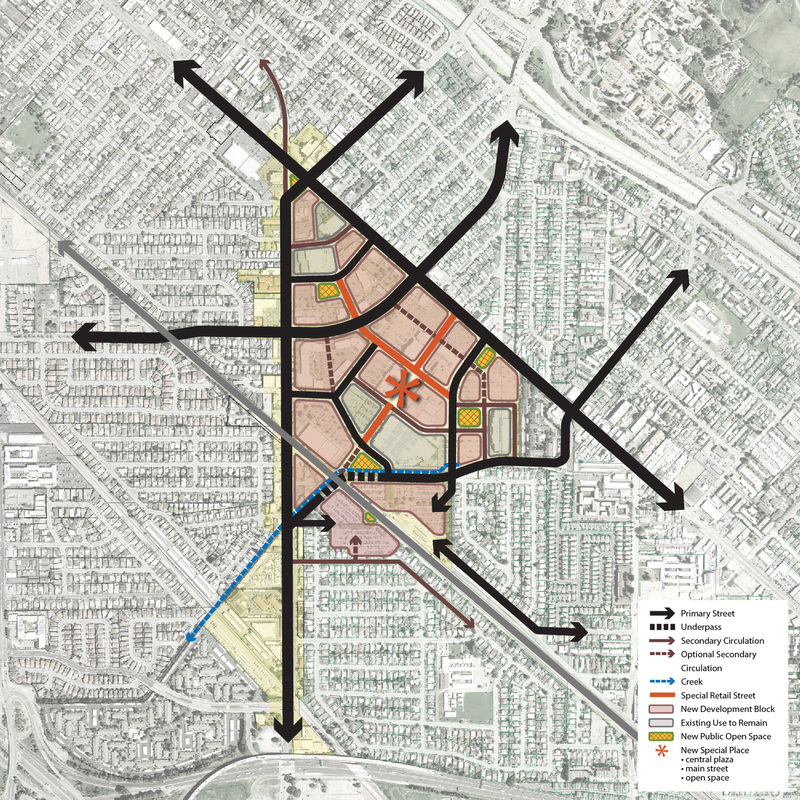 Together with Raimi + Associates, VMWP created a series of preliminary development scenarios that will become the basis for the final plan for the Bay Fair area. 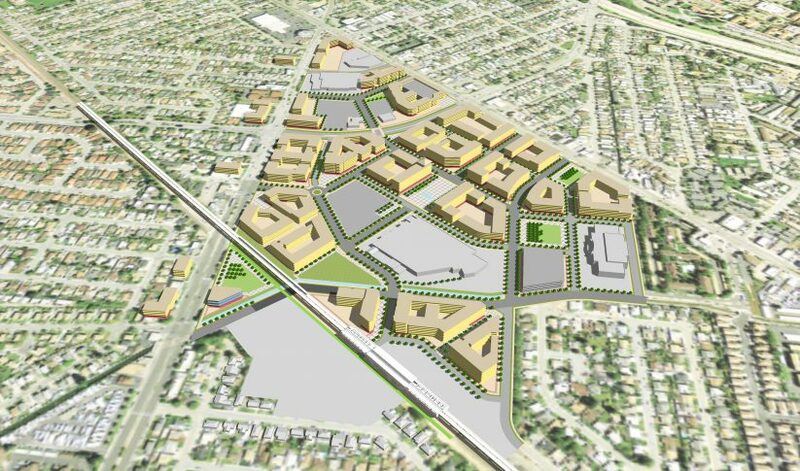 A major element of the plan will focus on improving pedestrian and bicycling accessibility throughout the site’s vast auto-oriented areas. This includes stitching together an enhanced street network and activating streets with shopfronts and front doors. As an integral piece of the plan, VMWP emphasized placemaking elements such as small corner plazas, tree-lined pedestrian connections, and protected bike lanes. 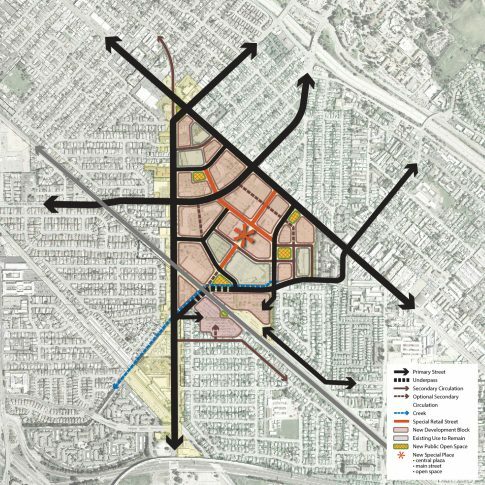 With these in place, Bay Fair’s future environment will be grounded upon a strong, flexible urban framework.